This incident is about a 14 year old girl whose last wish was to have her body cryogenically preserved after death. This even has set a landmark in the history of law where a teenager has been granted her last wish of being preserved after death. The little girl fell terminally ill after she was diagnosed with cancer. The girl said that she did not want to die but she new that her days were numbered. She did not want to get buried but be preserved so that, if some day in future, near of far, any cure of cancer is invented, she may be cured and brought back to life. Even in the last breath of her life, she wanted to live and this is how she wanted to live. Cryogenics deal with preservation of body that has been attacked by severe ailment and whose treatment is possible in distant future. Crynogenics’ main aim is resuscitation! A long procedure which continued for months, followed. After that, the girl finally won her rights to be preserved cryogenically only few days before her death on October, 17th, 2016. The name of the little angel has been withheld and she has been referred to as JS. Justice Peter Jackson, who was judging the case, went to visit the girl in hospital. He was moved by her strength even in such a tough time. He was taken aback by “the valiant way in which she was facing her predicament”. I have been asked to explain why I want this unusual thing done. I am only 14 years old, and I don’t want to die but I know I am going to die. I think being cryo-preserved gives me a chance to be cured and woken up – even in hundreds of years’ time. I don’t want to be buried underground. I want to live and live longer and I think that in the future they may find a cure for my cancer and wake me up. I want to have this chance. This is my wish. The girl belongs from the United Kingdom. 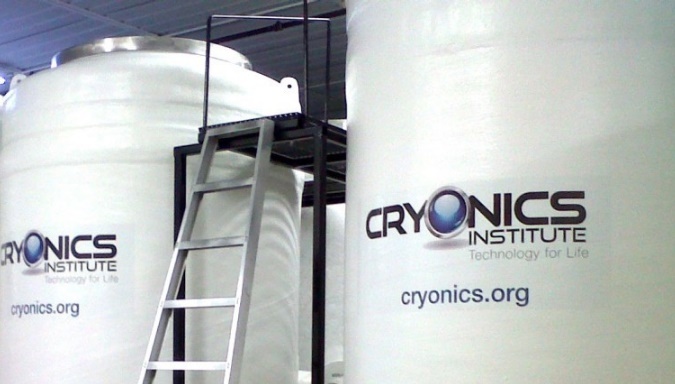 There are facilities of preserving body cryogenically in the US and Russia but not in UK. Bodies are preserved in liquid nitrogen at very low temperatures (less than -130C). The cost of preservation for an infinite amount of time in this case was £37,000, which was paid by the girl’s mother’s family.